Mononoke are spirits of vengeance and victory. Like most beings the Mononoke range from mildly Dark Arts to the far extreme. We work with the milder to median of the Mononoke as they are extremely effective in terms of helping with matters of vengeance and recovering things lost. The Mononoke can appear in many forms and a ghostly form is the most likely to be encountered. They can take swift and decisive action against those who seek to bring trouble and harm, or they can be harbingers of vengeance against the evil people of the world; leaving a trail of devastation in their wake. They are absolutely fearless in their action and will exact their meter of magickal vengeance against them. As spirit companions they are extremely loyal and they will serve the benefit of an entire family, if allowed. They are unyielding in their ability to take up actions of vengeance on your behalf. They will use all within their power to exact revenge and bring you the results you deserve. They are active, talkative and absolutely invested in keeping your area secure. They are quick to offer you support when it comes to magickal endeavors as their knowledge of magick is extensive. Good Luck Penny ~ Also Repels Evil! 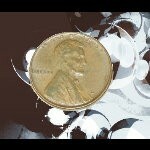 ~ Must Have Lucky Penny (Pre-1982!) Charging Cord :: Charges All Spirited Or Spelled Vessels Suspended From Cord Spirit Reading :: Which Spirits Would Be The Best Companions? I got him through BOGO. He is surprisingly chill, strategic, wise and intelligent. He even manifests in a semi corporate attire. He's easy to bond and deal with. Advantages: In my own opinion they may have a tiny bit gentler energy than a Wraith (probably because mine told me he is in the mild spectrum of Mononoke), however, when it comes to providing protection and vengeance matters they are absolutely not bad. They are the Japanese Wraiths. Disadvantages: None but I think they should be owned by responsible Keepers because they're like Wraiths at some point.